Light it or vase it. Both ways I simply love it. The Kala lamp is designed by Studio Mimesis. Amazing flow, form and function ↔ sitting, chaise and bookcase ↔ all in one minimal design! Inspired by the legendary black horse; Bucefalo, only Alexander the Great could tame. What else Emanuele Canova has to offer, see here. On the eve of relaunch of my blog DesignFlute today, I just want to give you this! The simple and stunning flower bed By Swedish designer Lisa Hilland is one of my top favourites shown at Salone Satellite 2010 held recently. 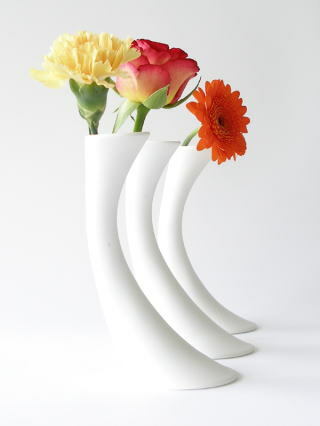 It seems these spiral shaped vases will just start moving! 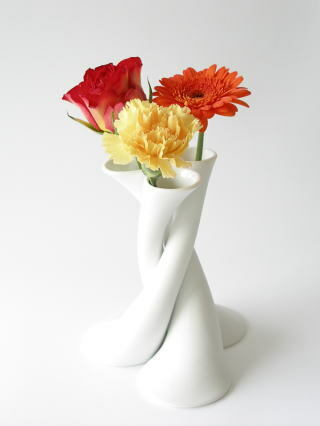 Japanese designer-architect Fumiaki Goto has designed these flower vases. Style these vases as you want! Some of his designs are very musical and try to capture the movement and time! Check his other designs here.